If you suffer from gingivitis and it’s affecting the integrity of your gums, lean on Hummingbird Dental for complete periodontal care. We use the latest in periodontal laser treatment, which is a non-invasive way to treat gum disease, also known as gingivitis. This is essentially an infection of the gums that begins as plaque, a white film that forms over your teeth that can result in tartar. This plaque is a magnet for bacteria, and that bacteria can start to attack the soft tissue of the gums, leading to deterioration of the gums and nerve exposure. When left untreated, gingivitis turns into periodontitis that affects the bone structure. If this is ignored, you could experience tooth loss. The good news is, this can all be prevented or treated. Here at Hummingbird Dental, we specialize in the state of the art use of special lasers to correct gum disease at any stage. This less painful way to treat gum disease is an alternative to more invasive surgeries that can take a long time to recover from. 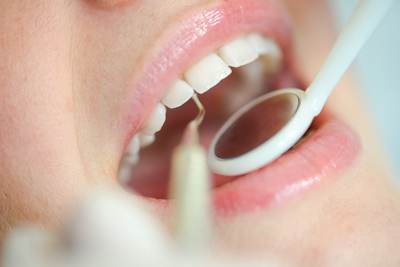 As part of our comprehensive periodontal therapy, we will care for and treat your gums. We work with you to control plaque so it doesn’t get out of hand in the first place. Working with your unique needs as a patient, our periodontal team can walk you through the entire periodontal laser treatment process from start to finish so you know what to expect. You can rest easy knowing we apply the latest techniques using state of the art equipment to perform the necessary treatment and improve your gums. As part of our gingivitis treatment, we ensure all patients are treated with gentle care and a comfortable atmosphere. Achieving and maintaining healthy gums is our main goal, so give us a call today at Hummingbird Dental to learn more about our convenient laser treatments. Don’t let periodontal disease destroy your gums. Make an appointment with our skilled dentists and hygienists.